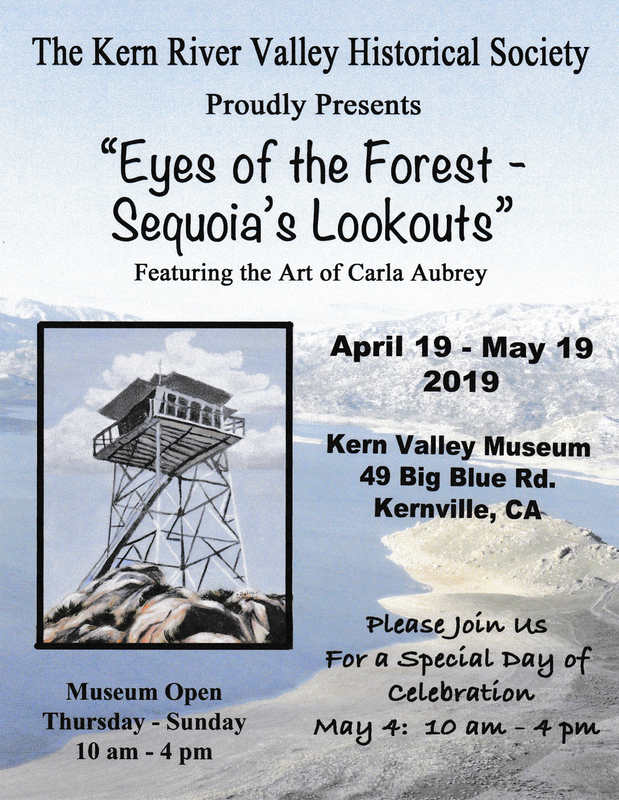 "Eyes of the Forest - Sequoia's Lookouts"
The Kern Valley Museum houses artifacts from prehistoric times to the present. 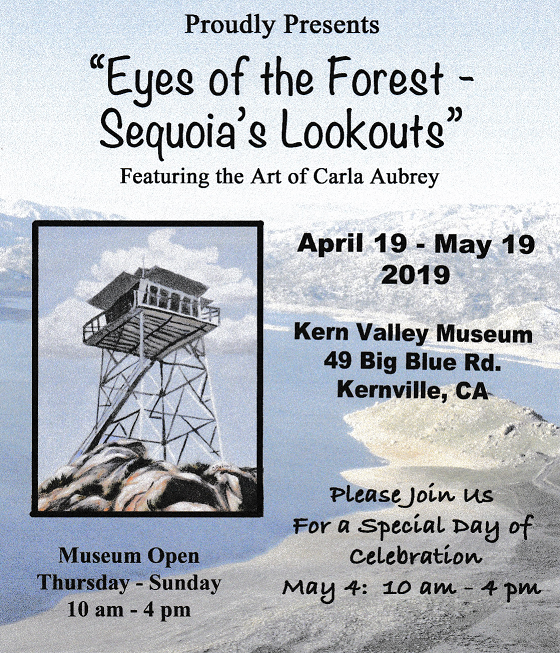 We have a large geological and fossil exhibit, mining and ranching artifacts, an interactive history of the Edison hydroelectric plants, exhibits of the movie-making history of the area and construction of the Isabella Dam. There are thousands of photographs of the early settlers, miners, cowboys and Indians. 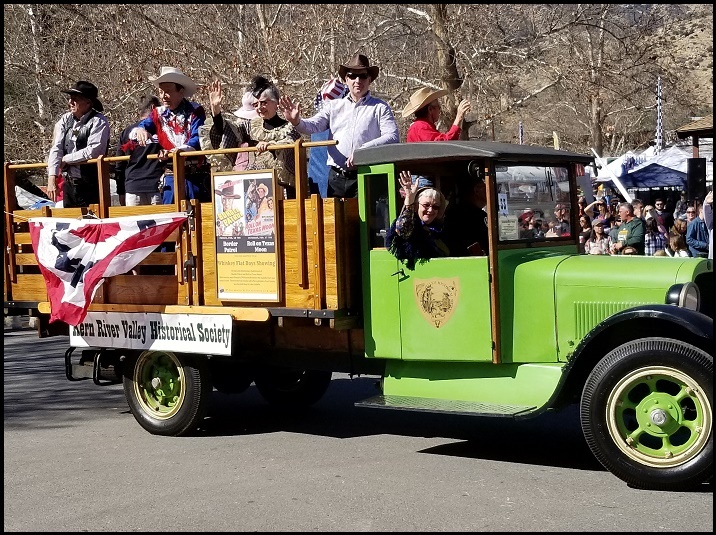 Our wonderful back porch and yard are home for a 1925 Graham Truck, covered wagon and the Stagecoach John Wayne rode while filming scenes of “Stagecoach” in our Valley. We also have a giant stamp mill used to render gold-bearing ore to powder, a working assay office, blacksmith shop and a restored and furnished 100 year old cabin. In the 1850’s, Gold Fever gripped the nation. The Kern River Valley was part of the gold rush that spurred the westward migration of fortune seekers who became ranchers, farmers and merchants when the gold played out. The Museum stands rich in history. 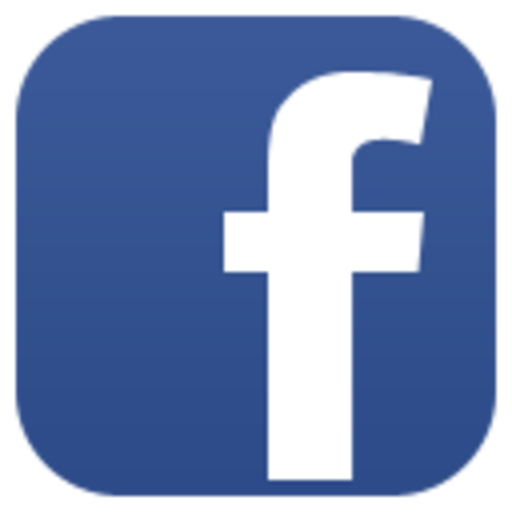 Come and discover the treasures it holds!